As the old statement goes, “Too much of a good thing, is a bad thing.” That is why it is as essential to know what classifies a good biotin supplement as knowing if taking biotin supplements are for you. To really understand what this whole hype about biotin is, we should first know what it really is, its uses, and how it works. Probably one of the reasons why biotin is in the spotlight right now is due to the fact that a number of celebrities and Instagram models promote a gummy-type supplement for hair. Of course, the main ingredient of that supplement is biotin. Hence, what people are doing instead of buying that overpriced gummy supplement is, they scour the internet for an alternative without knowing what classifies a good biotin supplement. Therefore, we do not want you to harm yourself by taking something which you just have little knowledge. Biotin is amongst the B-complex vitamins, and it can also be referred to as Vitamin H. Being part of the B-complex family, it helps the body break down the food and turn them into energy. So that is weird right? How can a “food converter” contribute to the health of your hair, skin, and nails? A translation from its Greek word “biotos” that means “sustenance” or “life” can give us a clue. In fact, it is an essential nutrient in pregnancy as it helps develop the skin, liver, some parts of the nervous system, hair, and eyes of your baby. Additionally, it can be found in a lot of food that is generally available to us like, banana, eggs, and milk. Now, two symptoms correspond to the commercial use of biotin, and those are, hair loss or brittle hair and red and scaly rashes. So, the part where you take biotin for your hair and skin are already covered, but what about the nails? It can fit into the dry skin category even if it is not skin per se, but dryness also adds to your nails being weak. The question that might come to your mind is, “Does this mean that if you do not have these symptoms, you cannot take biotin?” The answer is not necessarily, since how can you tell if you are going to get these symptoms? As you can see, the use of biotin is a huge gray area, but it is important to note that if you have very healthy hair, beautiful skin, and long and strong nails, you need not take biotin. However, if you always abuse your hair via blowdrying and other heat treatments, if you do acrylic nails, or if you have skin problems, biotin might be a solution. Simply put, biotin is not actually the one that promotes hair growth or the strengthening of your nails. It is actually the “enabler” of certain enzymes and antioxidants that are the actual cause of hair or nail growth. Thus, biotin is actually important because, without it, those nutrients cannot be activated, they will just remain there doing nothing. Think of biotin as the hand that makes a drawing. Yes, the pencil can be the cause of those lines, but it is actually the hand that wills it so. What Classifies a Good Biotin Supplement? For biotin to work, it needs to be combined with other ingredients but you have to be sure that there is enough biotin in there to enjoy the effects. The average amount is 5,000 to 10,000 mcg. You have to at least get it from a reputable facility. At the same time, you should take note if this facility also manufactures or handles common allergens like eggs, nuts, fish, etc. It does not necessarily mean that having an all-natural supplement is better than a chemically treated one, but as we have mentioned earlier, biotin is naturally occurring in most food that we already eat. So, you have to see if some of the chemicals mixed with it can either change its effect or not. Most biotin supplements are not easy on the stomach, especially if you take it without a proper meal. With that in regard, there are already formulations in the market that combat this effect. This is actually not necessary, but it is good to note that most biotin supplements have a bad aftertaste and smell. There are some that are tolerable, others are masked by artificial flavoring. We cannot stress enough how important it is to know if it is right for you to take biotin or not. 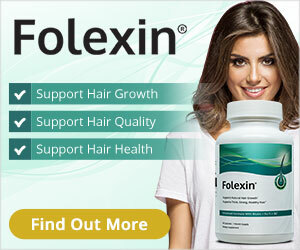 As a matter of fact, do not consider taking a biotin supplement just because you want to speed up your hair growth. Always keep in mind to use proper moderation and do not take more than the recommended dosage. All in all, there is still no definite answer if biotin really helps your hair, skin, and nails but a lot of people have claimed that they are really effective. We can only stand by the scientific data that biotin does help in some way, it might not be direct, but it helps activate the needed nutrients in order for them to target the skin, hair, and nails. With that said, just keep in mind the factors that we have discussed and it will now be easy for you to choose your biotin supplement. I have been taking biotin for about a week and a half and I can already see and feel a difference. I dont know why I ever doubted it. I think that a lot of people don’t understand how supplements work. They have to be deep seated in your system to work. Be patient and pay attention. IT WORKS!!!! My fam also doubted that vitamin C works……. it works too. Whenever I am on Vit c, I don’t catch colds ….period. Zinc works for colds just cuts it in half, but it is better not to catch it at all…..Vit C will take care of that. My hair would not grow I used Coconut oil, castor oil, and a host of other things that did not work. My hair is natural no perms and I finally feel that I can comb it without thinking Im going to lose it all in the brush. It is stronger and longer. I cannot wait to see my hair in 6 months.